The Northern Ireland Greenways project started in 2012 with a simple blog to raise awareness of the potential for a network of traffic-free routes across the country. Over the next few years articles were published on potential greenways, backed by a popular social media campaign. This drove the idea up the agenda. 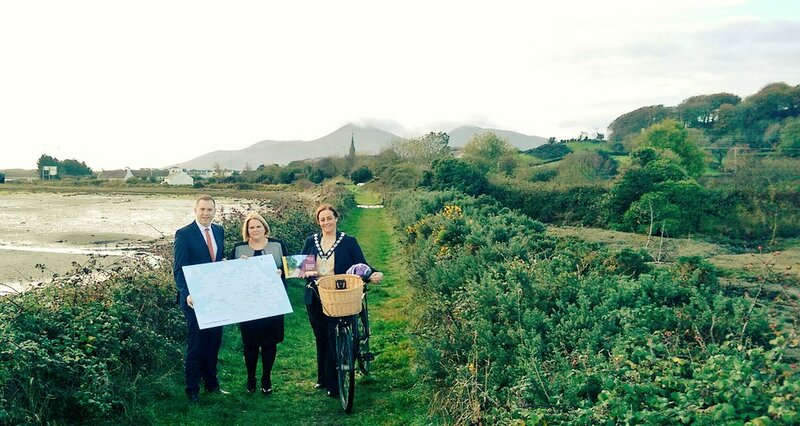 The parallel development of great real-world projects such as the Connswater Community Greenway, the linking of the Carlingford Greenway into Newry and greenways in Derry – as well as the great success of County Mayo’s Great Western Greenway– showed politicians, community groups and the public what the potential of greenways could be. The Department for Regional Development (later Department for Infrastructure) created a Cycling Unit in 2013 to work on active travel policy and projects in both rural and urban settings. This included a remit to adopt the vision of the Northern Ireland Greenways project and develop a dedicated Greenway Strategy. The Northern Ireland Government Greenway Strategy was launched in November 2016 by then Infrastructure Minister Chris Hazzard, cementing the ideas into a 25 year long strategy to create 1,000 kilometres of routes with an estimated price tag of £150 million. To kick-start development of the network, the Department ran a three stage competition for local councils between June 2016 and March 2018. Councils submitted project briefs as applications for £8,000 feasibility planning. 20 projects were selected and plans created. Of these, 3 projects made it to the final stage for £25,000 grants for a detailed study into the project to bring proposals closer to reality. The Department had planned a Capital Grants Programme to be announced by a mInister for the start of the 2018-19 financial year. The capital funding for greenways is envisioned to be split between central government and local government, at a ratio to be announced. However with no Minister due to the current political impasse, this is now uncertain. 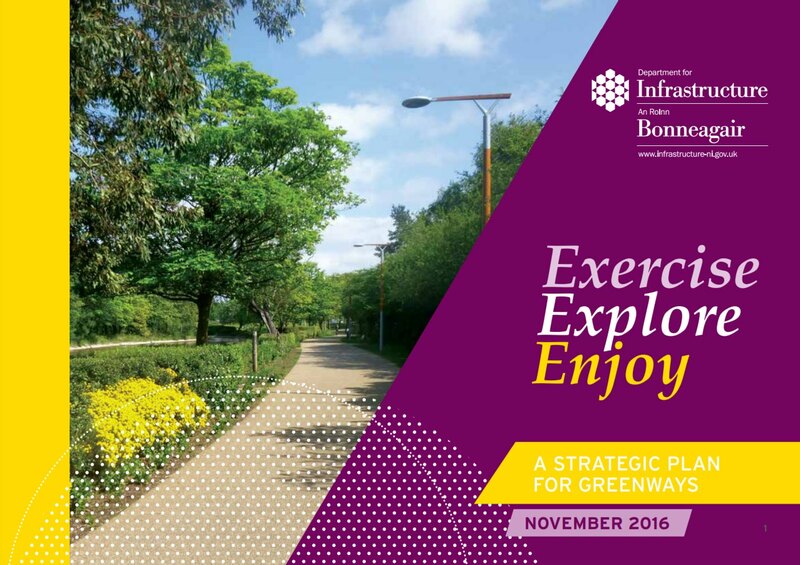 “The Strategic Plan provides a framework for the development of a Greenway Network that reaches into all areas throughout the region, providing a safe and secure environment for all of our citizens to become more active, to improve their health and wellbeing, to access both town and countryside and to improve local areas and the local economy.